On Tuesday, SpaceX will attempt to refly both an orbital rocket and spacecraft for the first time. These are pictures of the last mission each flew. 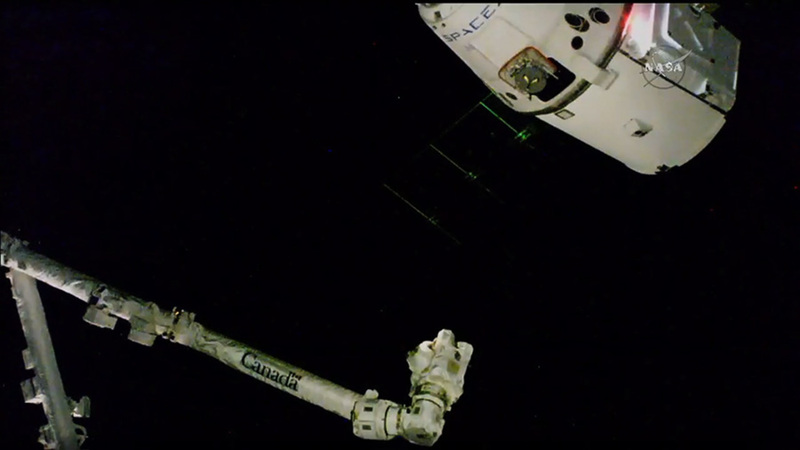 Love the view of our Dragon spacecraft docked with the International Space Station as it passes over the illumination boundary.